I am sitting here trying to figure out how I want to approach this. Seriously, there are so many different levels and layers and nuance to approach and explore and I am somewhat at a loss for how I will get into. I guess he best approach will be to start at the beginning. No, not where the book began. I mean the beginning for me, where I started this strange relationship. I am thinking sometime in the mid eighties. I was a teenager and it had to be maybe 9th grade or 10th grade science. Though, the timing is foggy and a little irrelevant, it gives us a base for figuring out where I was in life and where the world of books that I enjoy happened to be. You have to figure, the mid eighties in Michigan was probably a number of years behind places like New York when it came to literature (among so many other things). So you could actually take this experience back to the mid seventies for people in more forwardly mobile places, or something… But I think I might have hit the first odd tangent. I should probably get back on track. So yeah, back to that science class. Those of us who read were all reading various books along similar themes. And even then we were reading the same books because it was all we had. At this time there weren’t all that many mainstream fantasy or science fiction books that had been published recently. (this all changed with The Sword of Shanara but that is a different story). 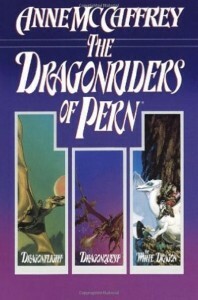 A girl in the class was reading one of the Pern books by Anne McCaffery. And all I remember of the conversation was asking if it was good. She really enjoyed the books and that was the last contact I had with the books until recently. I know right… How does something like that happen? How is it I can spend close to thirty years in a darkness without reading a book by the first woman to win a Hugo or Nebula (I mean back when they used to mean something). But then this does take us to that reference of Terry Brooks and the Sword of Shanara. When his books hit the world there was a change in Science Fiction and Fantasy literature. The snowball had built momentum and all of a sudden there was so much to read that it was almost impossible to read everything. You had to latch on to what looked good at the time and not worry about what you might be missing. Wow, this sounds familiar doesn’t it, kinda like nothing really changes. There are always more books than we have time to read. So we step into a few months ago. One of my local libraries has a book drop where they set out books they are removing from circulation and locals drop books they are cleaning from their shelves. You can find some nice gems there on occasion. I happened upon an older edition of the first three Pern books in a hardcover combo. Not only with a fair condition dust jacket but it also didn’t have any of the markings that are common on library books. Of course I picked it up. This is how a home library grows right (admit it, you have books on your shelf you haven’t read yet and you still pick up new books). So I found myself in one of those odd moments where I am reading several different non fiction books (usually stuff that you can read in stretches) but I needed something fiction. I pulled it off the shelf and was immediately drawn into the world. Many times, because I am going through a bunch of different books at a time, it can take me a bit longer to read fiction. There are times when it doesn’t pull me in as tight and such that I can break away and still come back to it just fine. That didn’t happen here. The book pulled me in and wouldn’t let go. I mentioned earlier that there are so many different approaches you can take when you examine this book. At the forefront of course is the feminist movement of the 70s. The book was published in by Ballantine in 1968 and like any other author, McCaffery wrote her world and life into the story. So of course there will be things that people of today can take umbrage with. But this is part of our cultural history and important in the aspect of showing us glimpses of where we have been and what guided us to where we are now. See here is the thing, though the story explores traditional gender roles and all that, at the heart of it is the story of a woman and how she makes important contributions to the world around her. At the time it was written this was a pretty bold book. Which leads to another observation, the concept of the story itself. The idea of the story is based on science fiction. Humans have traveled amongst the stars and populated other worlds. But this is where the science fiction aspect of the book ends. At its heart it is a fantasy. We have men and woman living within a feudal society and working hand in hand with mythological beasts. The magic isn’t really there, there is a logic to many of the aspects but science isn’t really a driving force either. From a cultural aspect this is significant in where we were literature wise at that time in history. Fantasy was marked as something for children as fairy tales and unreal. Science fiction was more often than not hard science fiction and stories of space travel. The shift within the time frame of the late sixties and into the seventies saw fantasy and science fiction being written and presented as something adults could read and enjoy. Oh sure the old thoughts still persisted and even now they haven’t fully gone away. But from a cultural aspect this is a book that gives us a glimpse of that transition. If we had the time we could dig through the various aspects of this book and find all manner of talking points. But that is something a bit beyond what I want to bring here. Instead I would rather mention that you should read this one if you get the chance. 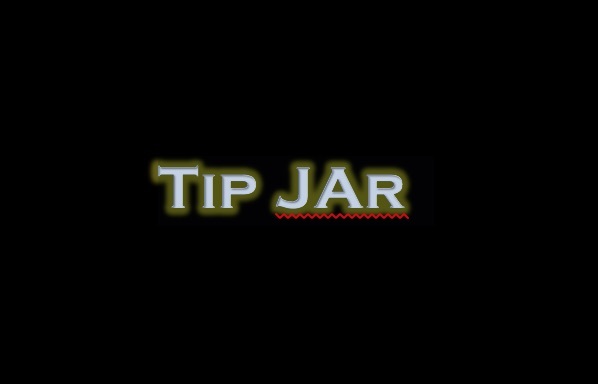 There is opportunity to build your own thoughts and ideas of how it correlates to our world even now. And again, even outside such thoughts, it’s a pretty good book and well worth your time.